How sweet it is! 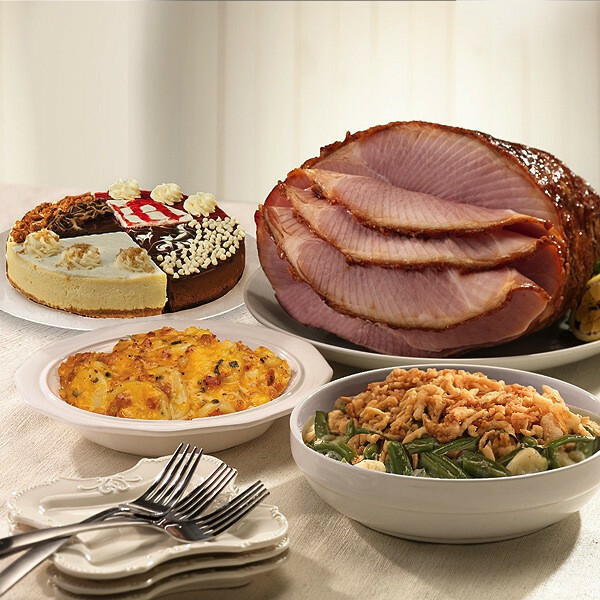 The main course is our tender seven-pound HoneyBaked Ham accompanied by two helpful side dishes: Cheesy Scalloped Potatoes & Green Bean Casserole. Next let them finish the meal with a luxurious array of Cheesecake - Our irresistible Triple Chocolate, Turtle, Raspberry & Creamy Cheesecake Creation.